Why Do I Need Retractable Screens? You may have noticed your neighbors or friends have installed a retractable screen. They are becoming a popular choice for people who want protection from the sun, wind, bugs and dust we face here in our Arizona desert. These screens can be raised or lowered at the touch of a button and depending on the screen selected, will keep out 95% of the heat, insects and dust. The best part is you can have this protection without losing your views! What Size Opening will my Havana Shade Screen Cover? The maximum width of our TrakLoc Screen is 24 feet and the maximum height is 18 feet. 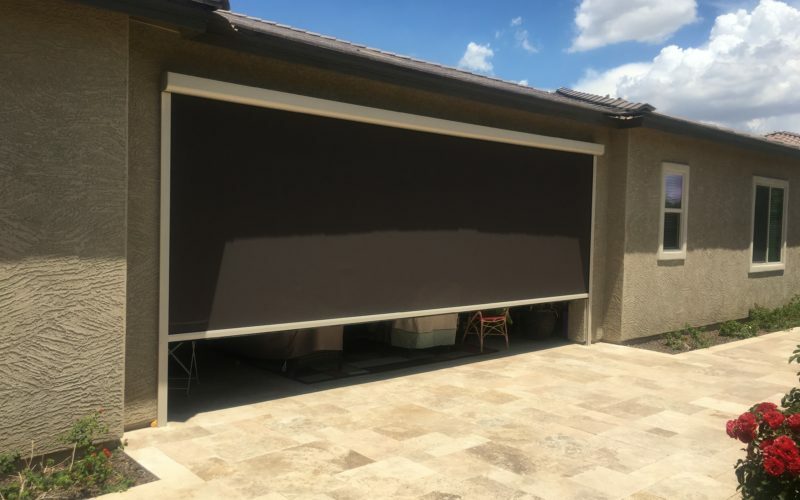 Our Extreme Screens can cover openings up to 32 feet. Beyond that, the installs will need to be done in multiple sections, which is a simple modification. 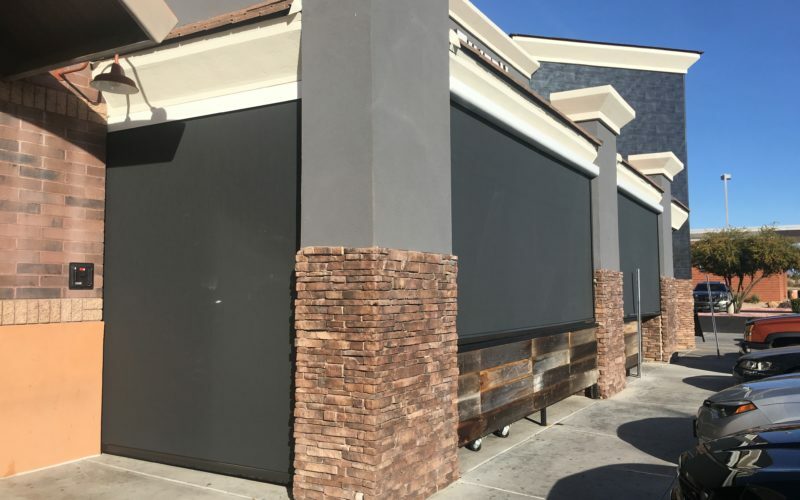 What is the Lead Time for Installing Havana Shade Screen? Are these screens only designed for new construction? Our screens are perfect for both existing homes and new construction. Our experienced team member will work with you to design the perfect solution to your shade needs for any style of home from traditional to contemporary. How much do the screens cost? Each screen is custom made for your home and costs include full professional installation. They are all made and assembled by hand. Our product is superior to our competitors and When you compare our products to other companies, you’ll find that our quality stands out. We use the most up to date technology and the most durable materials available. When you choose a Havana Shade screen, rest assured you are getting the best screen money can buy that will last for years to come. What if I want to enclose my entire patio? This is exactly what Havana Shade screens are designed for! 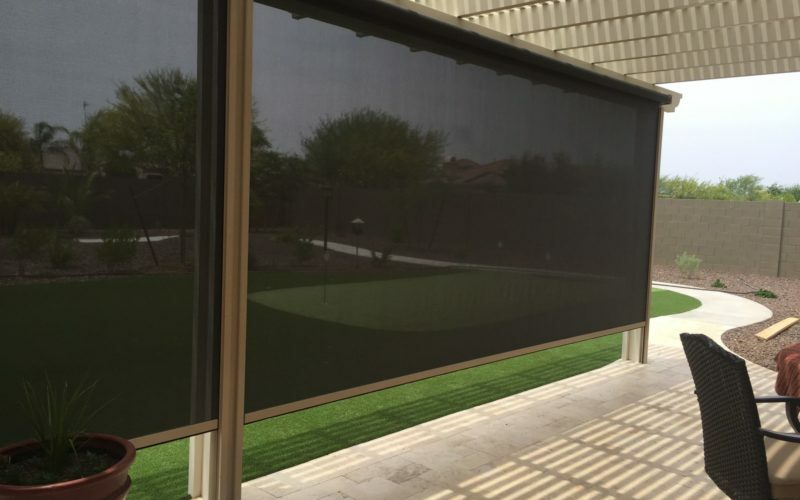 Our retractable motorized screens will be a perfect addition to either your existing patio or a new patio project. Our vision is to help you create a perfect indoor/outdoor living space so you can enjoy your patio or other outdoor space year-round. I live in an HOA development – will I need an approval before installation? That depends on your HOA rules. It’s always best to check with the rules of your particular HOA. Many HOAs will require approve for structural or landscape changes to the front of your home facing the street, but most HOAs will not require you to seek approval for modest enhancements to your back yard. 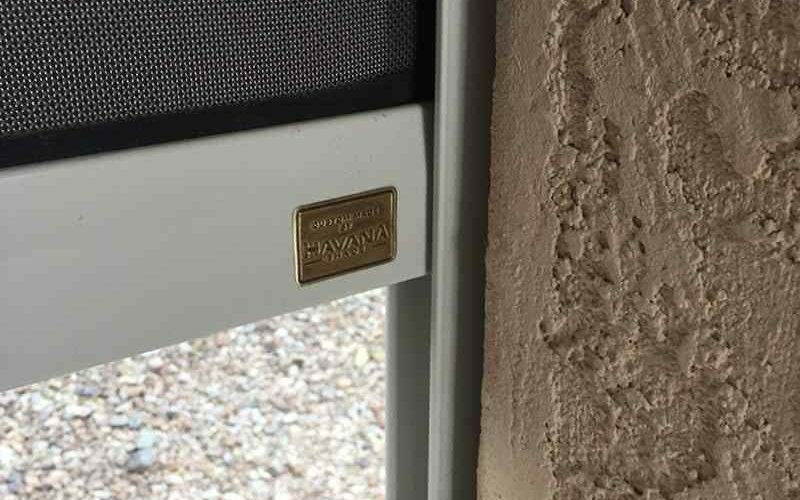 Can I Install my Havana Shade Screen Myself? Havana Shade screens are not a “Do-It-Yourself” product. Our team has specialized training in the installation of your Havana Shade Screen. The standard colors for the screen housing are white, tan, bronze and black. Standard screen fabric comes in black, charcoal, tobacco and bone plus an insect screen. Custom fabric can special ordered to ensure the supreme addition to your home or business’s exterior. How much maintenance will my Havana Shade screen need? We recommend you keep the screens retracted when not in use to protect them from weather conditions. We provide a simple maintenance guide for adjustments and cleaning so you can do these yourself. We also sell a yearly maintenance visit if you would rather we handle this for you. What's included in my warranty? We offer a lifetime warranty on motors as well as a 10 year pro-rated warranty on all parts and components. Are the screens water proof? No. Depending on the mesh type, they may block some water from entering your living space. Mesh types with more open weaves allow greater air flow, tighter weave mesh less so. For peace of mind, it is always wise to retract the screens in inclement weather. The mesh doesn’t act as a waterproof screen and therefore rain will penetrate the mesh. How long will it take to install my screen? This will vary depending on how many screens are purchased and any special circumstances that may affect installation, such as build-outs and which sort of application is being used for your screens. 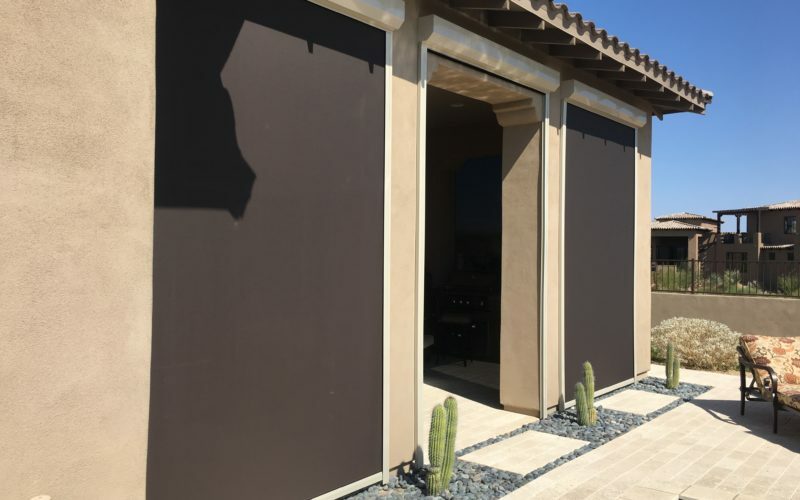 A single Havana Shade screen can be installed in less than a day. The production team will be able to provide you with more detail when scheduling your professional installation. Will my pets break the screen? A gentle bump from your furry friend should not break your screen as the fabric does have some “bounce” to it. Our screens are intended for protection from the bugs and sun and should not be used to contain pets. 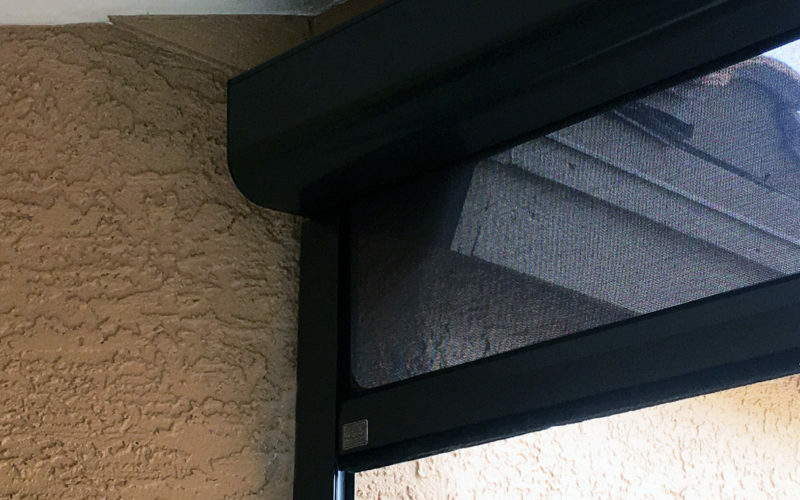 Our motorized screens can be controlled by remote, smartphone, or integrated with automated home features and security systems! Havana Shade brings you the most adaptable and intuitive features on the market. Stronger screens means more protections for your doors, windows, and patio furniture and electronics. Our screens are tested to withstand winds up to 70mph, making them some of the strongest on the market. Your screen is only an effective barrier if it has a strong seal. TrakLoc is Havana Shade’s patented channel-lock technology. It creates the tightest seal available, making it the perfect fit for your slider door. 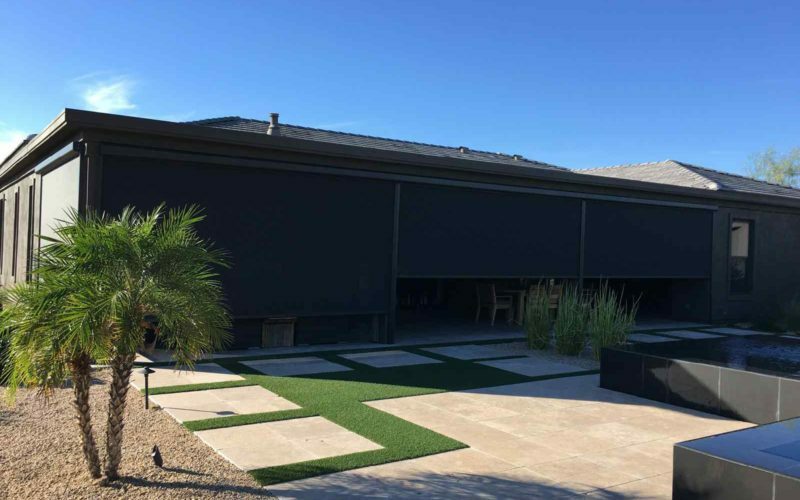 Havana Shade offers screen installs that can be seamless up to 32′ without compromising strength. Havana Shade offers a lifetime warranty on all our motors. Enjoy more than just the view. Get the fresh air without the Bugs or Weather! 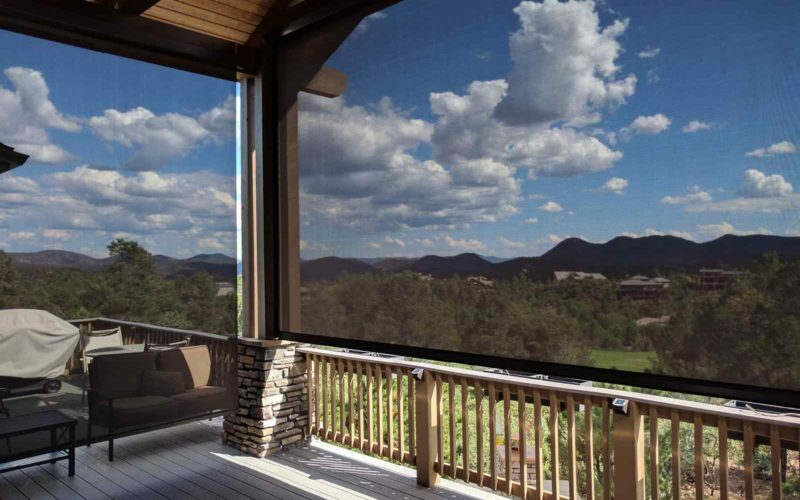 Our screens allow air flow but filter out Sun, Dust, Bugs, and Wind. Havana Shade is your local phoenix sun screen supplier. Screens are designed and manufactured right here in the Phoenix market. TrakLoc is the key to creating a truly reliable barrier. Other channel-lock systems don’t make a tight enough seal, or won’t slide smoothly after a while. TrakLock was invented to solve these problems to become the most reliable solution on the market. Your home will adjust and settle over time. This is especially evident in windows, door jams, and other openings over time. That’s why TrakLoc is made to be easily adjustable by the homeowner. This means you can avoid costly service calls. 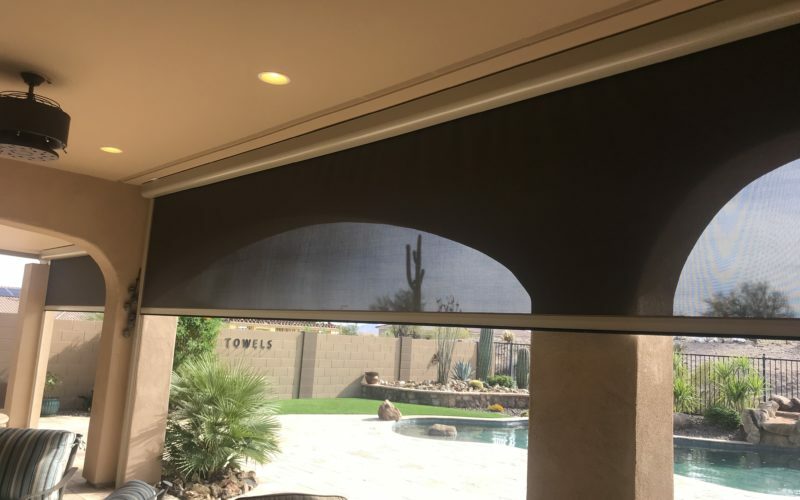 Part of the reason to own a Havana Shade is because no other screen on the market can create an enclosure with the push of a button. A screen is only as good as it’s biggest gap. Using TrakLoc gives you the best seal where the screen adjoins your house. Havana Shade installs top-of-the-line motorized window coverings. Our weather resistant material can block sun, dust, and bugs while protecting your privacy and lowering you energy expenses. The screens are mounted discreetly above your window openings and can be dropped with the push of a button. If your patio experience is no longer enjoyable due to the weather, then a motorized awning or canopy can be your answer. Havana Shade offers a selection of colors and styles; some vintage, and some modern. These coverings can be motorized and deploy with the push of a button! Let Havana Shade create a whole new room for you! Our pergolas feature a variety of options and upgrades to complete your outdoor living area. These Havana Rooms go great with pools, or function as a second patio for your home. The motorized screens can be installed on every side, giving you an enclosed private space to enjoy your environment and protected your furniture from the elements. Create your Havana Room with the push of a button!